When it comes to touch screens nothing beats real glass. The clarity, touch and feel is premium and functionality is uninterrupted. The same is true for screen protectors. Real glass screen protectors have certain advantages over soft foil and plastic “glass” protectors when put in use. Glass screen protectors ensure the highest quality in terms of retaining the full functionality of a high-definition display. And of course the toughness of glass is an important feature. 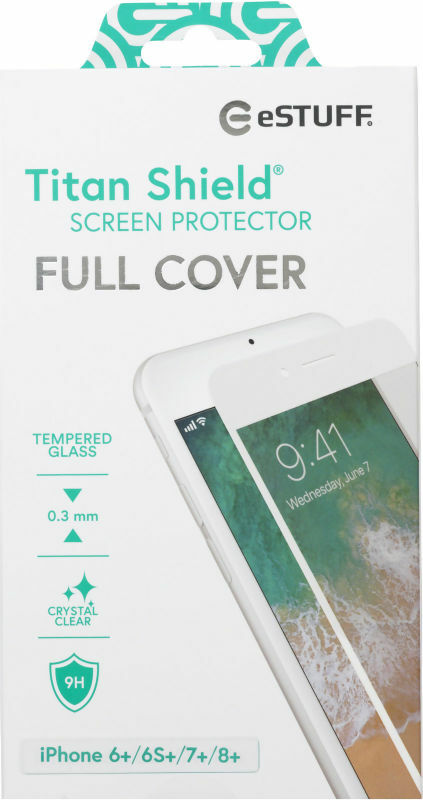 TitanShield is high grade screen protectors for your smart phones and tablets, made of real Japanese tempered glass, which is hardened to a strength 9 times tougher than ordinary glass. It is super thin and almost invisible adding only 0.33 mm in thickness and a few grams in weight to your device. The glass has rounded edges to resist edge chipping from small drops and bumps. TitanShield glass is laminated to prevent shattering upon breaking, just like the windshield of a car. The glass is treated with an oleophobic coating that makes the screen feel very smooth. It minimizes smudge from greasy fingers and makes it much easier to clean. TitanShield connects to the screen with a thin silicon layer that makes the glass adhere seamlessly to the screen without bubbles, and with no reduction in sensitivity. No, TitanShield is actually designed to break as it absorbs shock damage from a strong impact. If TitanShield did not break in those cases, you would risk damaging the original screen of the device. TitanShield is very resistant to scratches and most day to day encounters like keys and coins. As all glass, the surface of TitanShield can be scratched - but due to the hardening only with very hard materials and a certain amount of force. Since the glass is laminated you can easily remove the glass without any splinters if it is broken, and know that you have saved your screen. TitanShield is like all glass most vulnerable in the corners as it is an exposed and unprotected edge. However, TitanShield has minimized the risk by making the edges curved. If you do experience cracks in the edges or corners, you can see it as an advantage as TitanShield in this case has taken the beating from the phone's most vulnerable spots. Although TitanShield is designed to give your device extra protection, it does not make it indestructible. All things may break when exposed to enough impact force and so may your device’s screen even when protected by TitanShield. However, you minimize the risk considerably as TitanShield is a safety measure, which greatly increases the phone’s or tablet’s survivability in your daily life. Does TitanShield interfere when using cases or covers? Most bumpers, covers and cases will fit absolutely fine when TitanShield is applied. The 0.33 mm thickness and rounded edges makes it an almost invisible extension to your device’s screen.